Weight loss efforts can be a full-time job, focusing on the foods you are consuming, how to fit exercise into your daily schedule and what supplements and weight loss products are worth your hard-earned dollars. The truth is that you already have the key to boosting your weight loss efforts, and it is part of the regular function of your body. Your metabolism works to convert the foods and beverages that you consume into energy, even when your body is completely at risk. While this occurs in every one of our bodies, the rate at which your body carries out this function differs, impacting the use of calories and the storage of body fat. The more efficient this process is carried out, the quicker your body will consume calories, burning body fat and promoting weight loss. Hit the Gym: Working out helps to get the blood pumping throughout your body, in turn boosting your metabolism. Find something you enjoy, the type of exercise isn’t important, just that you get moving. Be an Early Riser: When you wake up with the rising of the sun this allows your body to tune into the natural queues for your internal clock. In this way, sunlight will work to boost your metabolism at the best moments in order to benefit the most out of your energy consumption. Enjoy Spicy Foods: Peppers, a regular ingredient in spicy foods, contains a substance called capsaicin. Studies have found that capsaicin works to burn approximately 10 additional calories with every meal. While this isn’t much, it does add up! Drink More Water: Your body uses water as fuel in order to burn calories within the body. Increasing your water intake will help to optimize this process. Interested in adding an extra boost? Drink green tea! 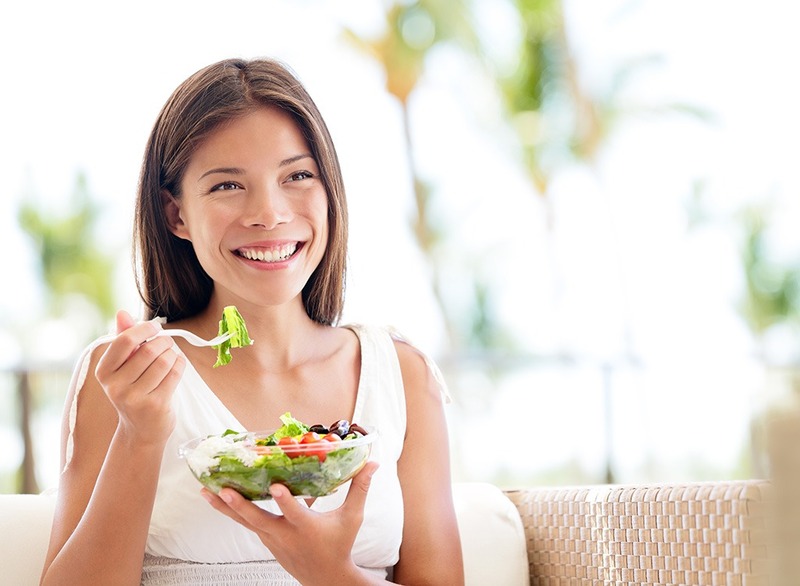 Eat Healthy: Rather than eating a couple large meals, stick to eating multiple smaller meals throughout the day. Choose healthier options, stick to healthy carbohydrates and make sure that your meals are balanced. Enjoy Metabolism-Friendly Foods: There are a number of foods that work to optimize the body’s metabolism including avocado, celery, spinach, almonds, walnuts, and turmeric. Reduce Stress: Stress has been found to slow down your metabolism. If you are looking to increase your weight loss, take steps to manage your stress in a healthy way. Eat Organic: Processed foods include a number of chemicals such as antibiotics and growth hormones which negatively impact the metabolism and put your health at risk. Choosing organic foods will allow you to limit these chemicals in your diet.